We investigated the multi-component herbal dietary supplement, which contains extracts of 19 medicinal plants traditionally used as anti-inflammatory remedies. Here we have investigated the effects of this supplement on lung tissue morphology, reactive oxygen species (ROS) generation in blood, lung tissue and liver tissue homogenates, pro-inflammatory cytokine expression: tumor necrosis factor-α (TNF-α), interleukin-6 (IL6), and respiratory parameters: expired volume of ventilation per minute (V˙ E), rate of oxygen uptake and amount of carbon dioxide eliminated per minute (V˙o2, V˙co2) during experimentally induced pneumonia (i/p lipopolysaccharides (LPS) injection, 2 mg/kg) in rats. Endotoxemia was associated with: (1) pathological changes in lung morphology; (2) increased ROS generation; and (3) a gradual decrease of V˙O2 and V˙e. Application of multi-component herbal dietary supplement for rats with pneumonia created positive changes in diminishing lung tissue injury, decreasing ROS generation in blood, lung and liver tissue and decreasing pro-inflammatory cytokine expression of TNF-α and Il-6. Oxygen consumption and carbon dioxide elimination in this group was increased compared to the LPS pneumonia group. Results of multi-component herbal dietary supplement treatment of intact animals was mixed: 1) positive - significant increasing of V˙o2 and V˙e; 2) negative - significant augmentation of ROS production in lung tissue. Multi-component herbal dietary supplement manifested promising therapeutic effects in the course of experimental pneumonia. Further research is needed to clarify the mechanisms of its action and the possible applications in clinical medicine. 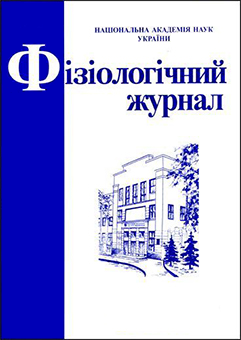 Piskarev IM, Trofimova SV, Burkhina OE, Ivanova IP Investigation of Free Radical Processes in Substrates and Biological Samples by Means of induced Chemiluminescence Biofizika.2015;60(3):496-505. 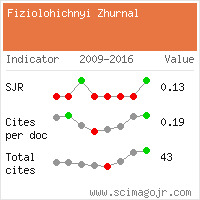 Wang J,Zhao YM,Zhang B,Guo CY.Protective Effect of Total Phenolic Compounds from Inula helenium on Hydrogen Peroxide-induced Oxidative Stress in SH-SY5Y Cells. Indian J Pharm Sci.2015 MarApr;77(2):163-9.